So today’s the day we finally get to unveil Basecamp 3! 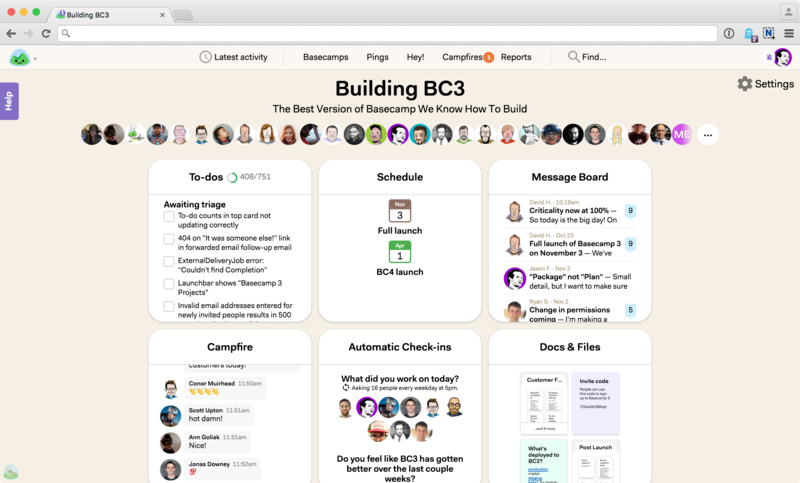 Nearly 2 years in the making, Basecamp 3 is the most ambitious product we’ve ever built. There’s so much new and hugely improved stuff! Radically more powerful than any Basecamp before it, it still maintains – and expands on – the straightforwardness and ease-of-use that people around the world have come to know, trust, and love about Basecamp. Basecamp Just Works. This combination of power, ease of use, and unique approach is why over 5,000 companies and organizations sign up for Basecamp every week. We’re dedicated to continuing to delight them and to try win over a million more with Basecamp 3. Basecamp 3 is built around the premise that no matter what kind of work you’re doing, there are a few things every team needs: A way to divvy up work, hash things out quickly via chat, make big announcements, keep discussions on-topic, store and organize key files and assets, lay out milestones and deadlines, and have regular check-ins to make sure everything’s all right. These are the simple truths of working together well. And rather than have to duct tape together a DIY-suite of separate products by separate vendors with different interfaces, separate user accounts, different billing schedules (and prices), and decentralized storage of information (some stuff in this one, some stuff in that one, end up with stuff all over the place, etc), we’ve built everything you need into a single, coherent bundle. That’s what Basecamp has always delivered. And now it’s delivering more of it, better than ever before. There’s nothing else out there like it! A large portion of our customers are client services firms. Designers, agencies, dev shops, lawyers, accountants, you name it. People with clients. Client work is their bread and butter, and we wanted to make them the best damn sandwich they’ve ever had. So with Basecamp 3 we introduce The Clientside – an entirely new, fresh take on working with clients. It’s built right into Basecamp 3, and it’s available on the Basecamp With Clients and Basecamp Big package. Basecamp 3’s exclusive “Clientside” feature keeps client feedback on the record and completely separate from the rest of your project. This means your client never sees anything they shouldn’t, and your team doesn’t have to tip toe around worried about saying the wrong things. It eliminates all the anxiety and fear that are often tied to the client-firm relationship. Further, the Clientside puts zero demands on your clients. They never have to create an account, they never have to log in, they never have to learn a system or install any apps. Everything they do happens via email so there’s no burden on them whatsoever. They don’t have to change a thing, and it’s so much easier for you since you never have to feel like you have to tell them they’re doing it wrong. They can never do it wrong in Basecamp 3. No awkward conversations about tools! Your clients will love you! If you’ve used a modern chat, collaboration, or messaging app, you’ve probably noticed that there’s a growing expectation of being available all the time. Someone at work hits you up on a Saturday, you get the notification, and what are you supposed to do? You could ignore them, but what’s the expectation? The expectation is “if you’re reachable, you should reply.” And if you don’t reply, you’ll likely notice another message from the same tool or a tool switch to try to reach you another way. And then the pressure really mounts to reply. On a Saturday. Or at 9pm on a Wednesday. Or some other time when it’s life time, not work time. We don’t believe tools are at fault for this — tools just do what toolmakers build them to do. But we do believe toolmakers can build tools that help you draw a line between work and life. We’ve baked these good manners into Basecamp 3 with a feature we’re calling Work Can Wait. Work Can Wait lets you set your own notifications schedule. Each person in Basecamp 3 can set up their own work schedule with their own hours. You can of course choose to to receive notifications all the time, 24/7/365, no matter what. Or, you can say Work Can Wait — only send me notifications during my work hours. Then you can set the start time and end time and also mark off which days you work. Outside of this range, Basecamp will basically “hold your calls”. Notifications will automatically be silenced until it’s work time again. Once the clock strikes 8am, notifications will start back up again. Of course at any time you can go into the web app or native apps and check your notifications yourself, but that’s you making that decision rather than software throwing stuff at you when I’m going for a walk with my son on a Saturday morning. 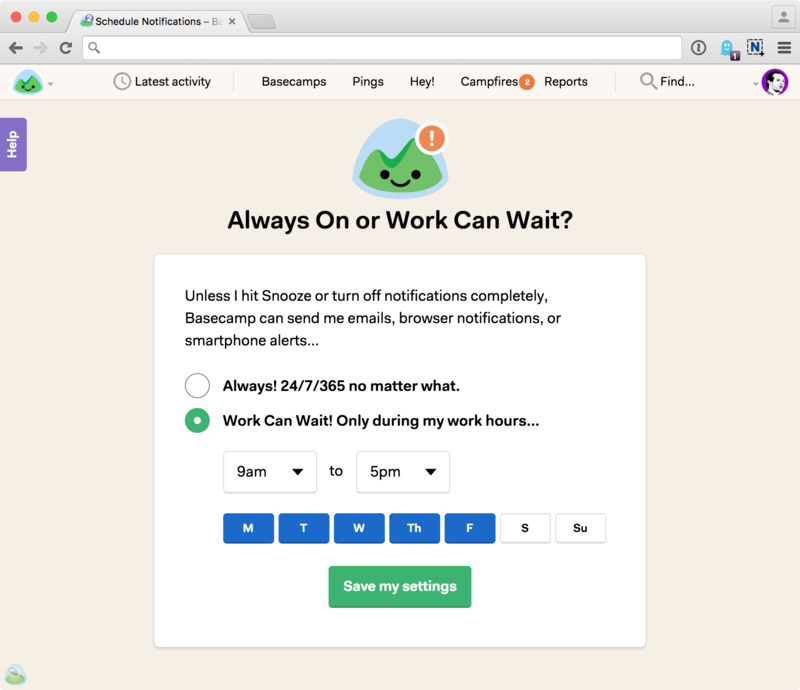 We think Basecamp 3’s “Work Can Wait” feature can help move the industry towards saner work practices, and we’re proud to lead the charge. Learn more about Work Can Wait here…. The more customers we talk to, the most interesting and unusual uses for Basecamp we find. People are using Basecamp for all sorts of things that aren’t traditional “projects”. Us too – we use Basecamp in sorts of ways that no one would define as “projects”. Yet, we’ve always called things “projects” in Basecamp. It’s just too limiting. Time to change that. For now on, you don’t make projects in Basecamp. You just make Basecamps. This closely follows the language our customers have been using anyway. “Go make a Basecamp for that”… “Let’s make a Basecamp for that!”… “Kick it off by setting up a Basecamp for the client”, etc. Rather than try to swim upstream against our customer’s vocabulary, we’re going to adopt their language and go with the flow. So “projects” are now simply “Basecamps”. And now when you make a Basecamp for your company intranet it won’t feel so weird. Or a Basecamp for your customer support group. Or a Basecamp for that event that’s coming up. These things aren’t just “projects” – they’re teams, and groups, and departments, and moments. So calling them Basecamps opens up a whole new set of opportunities for everyone to use Basecamp in new ways. We can’t wait to see where people take it. We’ve been running group chat in our business longer than nearly anyone. Back in 2006 we invented the modern business chat tool when we introduced Campfire. For nearly 10 years we’ve experienced all the pros and cons of different kinds of communication methods. So with Basecamp we wanted to introduce a balanced attack. Not just chat. Not just direct messaging. Not just message boards. Not just threads. But all of the above in just the right way in just the right places. 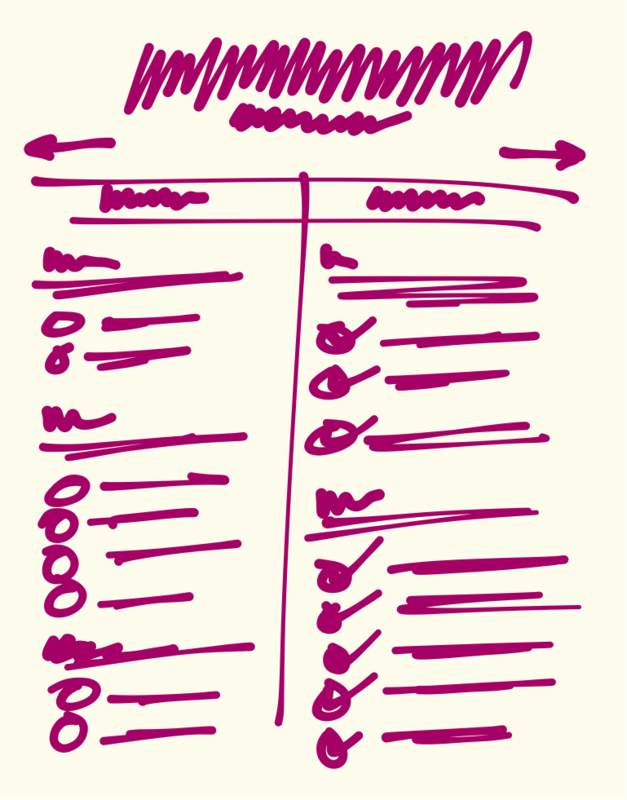 Chat is fantastic for hashing certain things out quickly, but it’s also terrible for long-term organization. 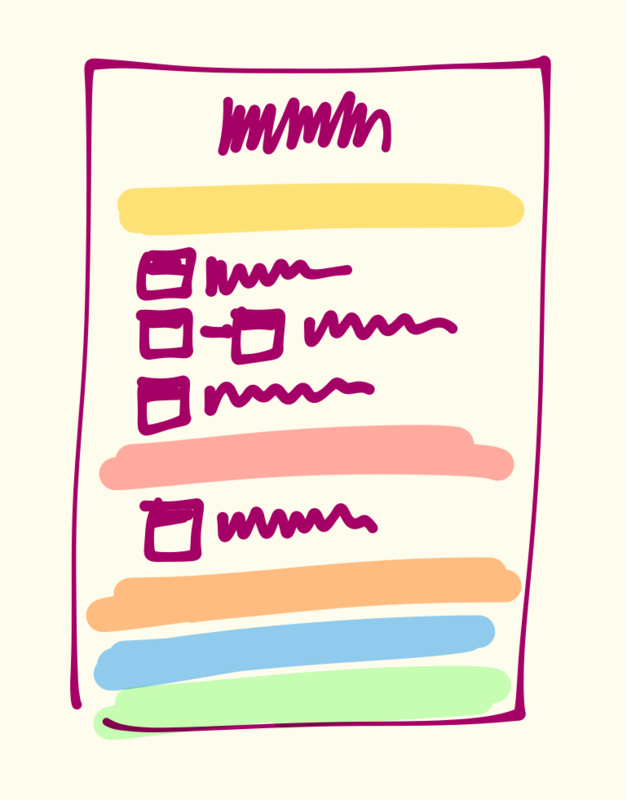 And organization is a very important thing when you’re trying to make progress on something with other people. With chat, stuff speeds by on a conveyor belt, conversations are crossed, and it’s just so easy to lose context. People feel like they need to pile in and pile on just so they’ll be heard before that part of the conversation scrolls away forever. Speak NOW or forever hold your peace isn’t a great way to think things through and give ideas due time to develop. Chat also causes anxiety of fear of missing out – they’re often like being in an all-day non-stop meeting. And traditional message boards are great for long-term organization and keeping discussions threaded, focused, and on-topic, but they are typically too slow for discussions and decisions that require back and forth real-time speed. They can feel frustrating if you want to move quickly or just “toss something in the ring” to see what people think. 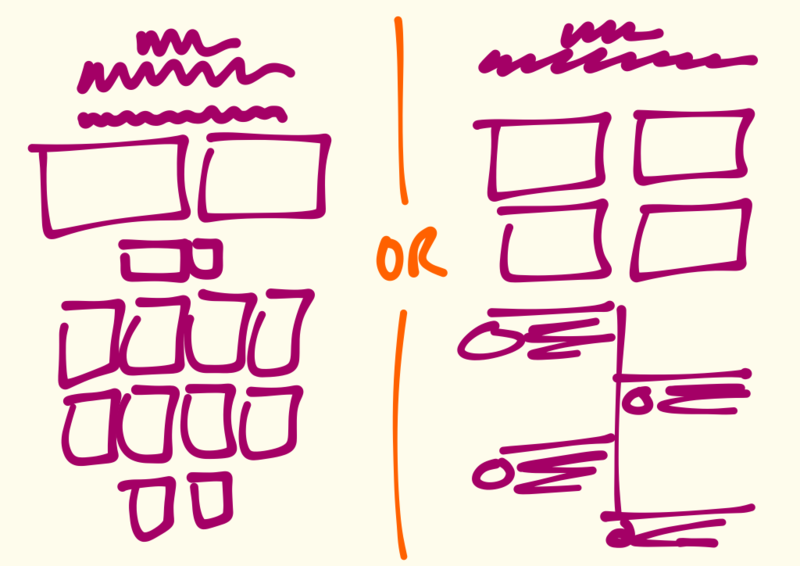 So in Basecamp you get both. Chat (we call them Campfires), and traditional threaded discussions (on the Message Board). The best of both worlds in a single tool. We don’t lean in one way or another – they are both equal since both are equally powerful, depending on the situation. You also get “pings” in Basecamp – our version of direct messaging – so you can reach out to people in a separate, personal backchannel. So two gears… Use Campfires when you want to shift into high-gear and go really fast. But use the Message Board when you want to shift into low gear, get some traction, put together a complete thought, and give people a chance to respond. Use Campfires when you don’t really care about the past, use the Message Board when you know you may want to refer back to something later. Further, in Basecamp you can have an organized, threaded, on-topic discussion attached to anything. This is one of the real secrets to why so many people love Basecamp. Attach conversations directly to to-dos, files, calendar events. Keep the conversation in context, right next to the thing you’re discussing. It’s so much simpler, tidier, more organized this way. Because discussions aren’t just for who’s part of them now, but also for whoever comes into the company later. Preserve your knowledge in a way you can point back to it later – don’t let it just float away. Simplified packages and unlimited for everyone! Basecamp has always been “project-gated”. This means you’d have to pay more the more projects you wanted to manage. We’ve torn down the gate in Basecamp 3! Every package includes unlimited Basecamps, plus everyone gets one Basecamp for free forever. Use that one Basecamp however you’d like. When you want to make another, you can select an unlimited use package. We’ve simplified down to just three straightforward packages. Basecamp For Us for those who aren’t doing client work. Basecamp with Clients for those who do work for clients (this includes the awesome Clientside feature). And Basecamp Big for enterprise customers. So that’s enough for now! There’s so much to check out! Please go and sign up for Basecamp 3 and give it a whirl. It’s free to try it out. No time limit. Thanks to everyone who’s helped us build, test, and beta Basecamp 3! It’s gotten so much better because of you. Check out all the new stuff! Check out Basecamp 3 today!. And be sure to get the outstanding, all-new iOS app and Android app as well! They’re fantastic ways to Basecamp! Basecamp 3 is right around the corner. Make sure you get on the list for an early invite. I’m working on a page for the new site called “What’s new in Basecamp 3” and I figured I’d post a draft of it here. There are no images yet – there will be on the site – but you can at least get a sense of some of the new stuff on the way! We think you’re really going to love it. Today we’re feeling really good because we get to announce that Mercedes De Luca will be joining Basecamp as our first-ever COO. Over the last few years, David and I have come to realize that high-level strategy and hands-on product development is what we enjoy doing most. But of course there’s so much more to running a company than just that stuff. Products are products, but companies are products too. Your company should be your best product, since it’s the product that produces all the others. We should operate the company with as much love and attention and care as we put into building our products. We want Basecamp the company to be outstanding at every level. Mercedes is going to help us be all we can be. She’s been a CEO, a CTO, a CIO, and a GM. She’s run big groups and small groups – local and remote. She has the right mix of a structured analytical mind and an insightful creative spirit. One of the biggest challenges of shipping a product is knowing when to put on the shipping goggles. The shipping goggles make you less sensitive to little nits and scrapes and things that might be able to be a little bit better, but really don’t need to be right now. Stuff that we could tweak, but really shouldn’t be grabbing our attention given all the other high value bits we need to hit. It’s sort of like squinting – you lose the detail, but you can still see the overall big picture shape, form, and function. Your peripheral vision shrinks, but the center is still bright. Knowing when to squint is a good thing to know. It’s not that the details don’t matter. They do, but details aren’t fixed – they’re relative. And of course any time you talk about details mattering, you’re speaking in very broad generalizations. Some matter, some don’t. Some never matter, some matter later, but not now. And some really matter now and can’t wait for later. Like everything, there are varying degrees. Part of training yourself to ship is to recognize what details are really worth nitpicking and when. There are no hard and fast rules here – it just takes judgement and experience. These are skills that build over time. Once you’ve been around it for a while you tend to improve your sensitivity to what’s worth doing before you ship and what can wait until later. And BTW, nitpicking may be construed as a pejorative, but I don’t believe it is. Nitpicking is a valuable skill, as long you deploy it at the right time for the right reasons. One of the penalties of nitpicking at the wrong time is that nitpicking often attracts a crowd. Someone nitpicks this which is an invitation for someone else to nitpick that. And before you know it, half a dozen people are spending time discussing tiny details that really don’t demand that level of attention. Again, there are no facts around when it’s worth nitpicking and what’s worth nitpicking – I’m only speaking to the awareness how situations unfold. We can all get better at this. I’ve been shipping stuff for years, but I still have to get better at recognizing the right moments to bring up certain things. I definitely fall into the trap of spending time making changes to things in the 11th hour that are really perfectly fine and can be addressed later if necessary. I absolutely find myself regretting going down a rabbit hole that really didn’t need to be investigated. I still find myself distracting others with change requests or suggestions that really didn’t need to cloud their vision and sap their attention. It’s hard!! As we close in on a big launch ourselves, I’m reminded of how important it is to keep time and place and impact in mind when bringing small things up. Again, it’s not that they aren’t important, it’s that they may not be important now. Everything has a cost and the cost of breaking attention goes up during crunch time. Can old world be more modern than new school? I’ve got two machines on me. One’s strapped to my left wrist. The other lives in my pocket. The one on my wrist can tell me the time (precisely in 12 hour format, roughly in 24), the day of the week, the month of the year, which year of the leap year cycle we’re in, and the current moon phase. But that’s its limit. There’s no software, only hardware. It’s programmed in springs and gears and levers and jewels. The one in my pocket can tell me anything and do just about everything. It knows my voice, it responds to my touch, and it even instantly recognizes my fingerprint out of fourteen billion fingers. This machine even knows the angle, velocity, and distance it travels when I swing it around. And it always knows exactly where it is anywhere on the planet. But sometimes I wonder which one is more modern. The one in my pocket can do more, but only for a limited time. And then it can’t do anything. It dies unless it can drink electrons from a wall through a cable straw for some hours every day. And in a few years it’ll be outdated. In ten years it might as well be 100 years old. Is something that ages so fast ever actually modern? And then there’s the machine on my wrist. It’s powered entirely by human movement. No batteries, no cables, no daily dependency on the outside world. As long as I’m running, it’s running. And as long as one person checks it out once a decade, it’ll be working as well in 100 years as it works today. It’s better than modern. It’s timeless – yet it keeps time. As time goes by, my pocket will meet many machines. My wrist might too. But when I look down at the machine on my wrist today, and know that in 50 years my son will be able to look down at his wrist at the same machine ticking away the same way it ticks today. That’s a special kind of modern reserved for a special kind of machine: the wonderful mechanical wristwatch. Even this late in the game, we’re still designing, redesigning, and debating. This is healthy product development. What I don’t have – and what I can’t squeeze in – is more attention. Attention is a far more limited resource than time. So what I should say is “I don’t have the attention”. I may have 8 hours a day for work, but I probably have 4 hours a day for attention. This summer a guy wrote me out of the blue asking if he could intern for me this summer. His email was great – clear, thoughtful, kind, inviting, confident but not pushy, and not too long (but long enough to say what he had to say without leaving anything out). He was studying at Harvard Business School and was going to be back in Chicago this summer. A month or so after that I wrote him and told him I was really sorry. I’d mislead him – and myself – thinking I had enough time to take on a intern that summer. I wanted to, I really liked him, I thought he’d be great, but I just didn’t have as much time as I thought I had to even consider it more and line up work and spend time with him, etc.